People from Kukes, this is your moment! Last week, IPKO Foundation opened the application form to register for Wiki Academy Kukes, Albania. You think you missed out on this opportunity? Don’t worry. You are still on time to be part of Wiki Academy Kukes! The IPKO Foundation staff has scheduled this week open house presentations in Kukes, to meet in person with all of the interested participants and provide them all the details related to the project. These presentations serve as a means of sharing details on a project where we can all share experiences and ideas. Thus, check the most convenient schedule for you and join us. Wiki Academy Kukes is an open competition for written articles for Wikipedia, and photographs posted on Wikimedia Commons. 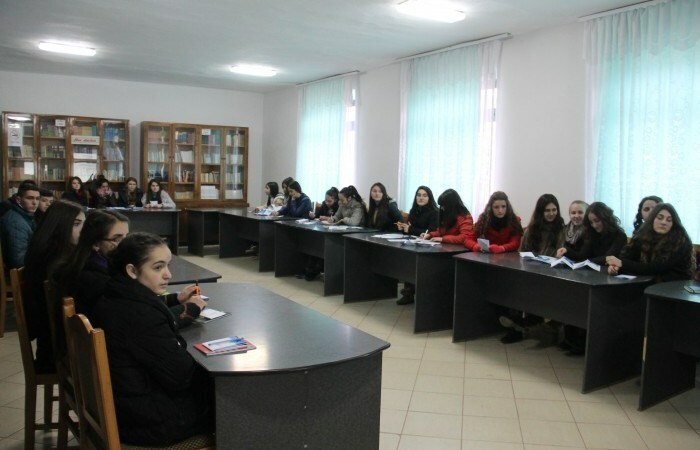 The main event is going to take place at Gymnasium Havzi Nela in Kukes, during 21-22 March, where all the articles are going to be finalized and posted in Wikipedia. This will be a long journey with a lot of commitment, hard work and effort before the main event, but yet a beautiful, challenging and unforgettable experience! In order to be up to date with the upcoming activities of the project, check the social media channels provided below.